We all crave that wonderful feel good factor in our lives but just what is it and how can we get more of it? That wonderful happy feeling we are after is the release of feel good hormones, like serotonin. It is actually these chemicals that make us feel happy, positive and motivated. But what can we do to get more of it? Here at Inspired to Change we’ve pulled together our favourite serotonin boosting tips to help you feel great! Don’t worry, you don’t have to enter yourself into a 10k race or swim 20 lengths a day. Just 20 minutes of gentle exercise (that’s a walk to you and me!) is all it takes to release lots of lovely serotonin. When we exercise like this we get an extra boost – we release another chemical called BDNF which holds on to the serotonin in our brains for longer giving us a double whammy of positivity. This amazing chemical is often referred to as miracle grow for the brain – who wouldn’t want some of that?! Doing things for other people makes us feel good! How great does it feel to give an unexpected gift, to do something that makes life easier for someone else or to give a compliment that lifts someone else’s day? It’s human nature to help others, it’s part of our survival instinct – we are stronger and safer when we stick together – so we are rewarded for these actions with a hit of serotonin. So random acts of kindness just don’t make the receiver feel good, they also help the giver feel great too! Positive interaction is one of the key activities we can do to generate more serotonin. So start saying yes – when your work colleagues invite you for a drink, when your friend suggests meeting for a coffee, when your neighbours invite you round for a BBQ… Pick up the phone and call your friends and family, you could even try taking your dog for a walk at different times of day and see who you bump into – you might even make some new friends! Tip 4: Waste some time – in the right way! Time wasting isn’t all bad! A recent study of over 7000 people showed that watching funny cat videos online boosted their energy and positive emotions and decreased negative feelings. The reason why? Serotonin of course! 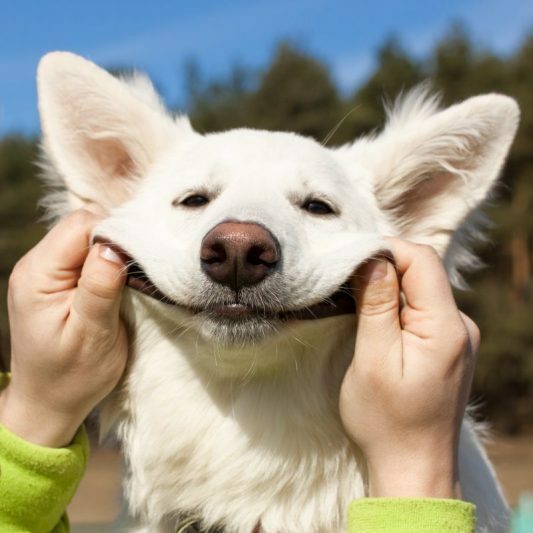 Who doesn’t get a smile on their face or laugh watching funny animal video’s? We get a proportion of our serotonin production from sunlight so getting out and about is great for our wellbeing. Numerous studies have also shown that being outside in nature gives us an extra boost too but we don’t have to go far – just pottering in the garden is enough! There are a few foods that naturally contain serotonin like walnuts, bananas and tomatoes but the serotonin in these foods does not cross into your brain so eating them does not increase your serotonin levels. But there are other ways we can use food to increase serotonin. The brain needs B vitamins to make neurotransmitters like serotonin so eating plenty of cereals and whole grains and foods like bananas, eggs, shellfish and dairy products is key. Magnesium is also an essential ingredient as it activates those all important B vitamins so plenty of almonds, spinach brown rice and raw carrots will also help with serotonin production. We’ve all seen those clips on social media where one person starts laughing at something and soon everyone is laughing too. We’ve all had fits of the giggles where we just can’t stop laughing. But when was the last time you laughed? I mean really laughed, a big, belly splitting laugh? Next time something amuses you don’t suppress your laughter to a small snigger, let it out! Have a great big, tear inducing laugh and see how it makes you, and those around you, feel. Any kind of positive action is great for serotonin production from crafting and writing to photography and painting, from woodwork and mechanics to dancing and baking. And of course variety is great – having a few hobbies to choose from not only guarantees a great flow of serotonin but it helps keep our brains young – the more we continue to learn, the more we use our brain the more new cells our brain generates. And if our hobbies include positive interaction too then we are on to a real winner! We don’t celebrate enough in our lives. We’re great at celebrating the big things – significant birthdays or anniversaries and great grades – but we aren’t great at celebrating the small everyday things. Just taking a few seconds of time to stop and really acknowledge what you have achieved that day, that morning, that hour, really connects you with what you have done. It gives you the feeling that comes from the release of serotonin, not just a feeling of happiness, but a sense of achievement, an acknowledgement of the skills you’ve used to accomplish that task and a feeling of motivation to help you on to the next small daily task. So don’t’ wait for the big things, start celebrating the small things! Gardening is great for giving us a boost of serotonin and lifting our mood. It hits a number of the key criteria for serotonin production – taking positive action, exercise, being outside and being in nature. But you don’t need a huge garden, or even a garden at all, why not find a local community space and volunteer to look after it, helping others along the way too to really maximise your serotonin kick? If you’re struggling to boost your levels of happiness then perhaps it’s time to get in touch to book your FREE initial consultation with your local Inspired to Change hypnotherapist. NextWear a Flower to Work Day – is it more than just a bit of fun?